Casting a spell with the keyboard is no fun. Imagine saying abracadabra with a few strokes of the keyboard. That wouldn’t be much thrill compared to saying the chant accompanied by impressive flourishes of the hand. 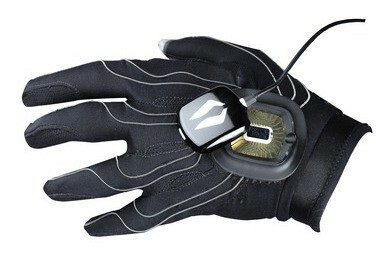 Well, avid fans of Everquest or the World of War Craft can now do that with the Peregrine Gaming Glove. This is an elastic glove with sewn-in wires at various sensitive points to enable users to activate certain commands. By touching the thumb to the forefinger or rubbing the middle finger on the palm, electrical circuits will be sent and converted into keystrokes by the glove’s intelligence unit. Built to military specifications no less, the feel of the glove is sensitive and the material is highly durable. For $129, the Peregrine is high-end stuff for online RPG junkies. Functioning like a USB keyboard, the glove works with almost anything and it can even be washed.